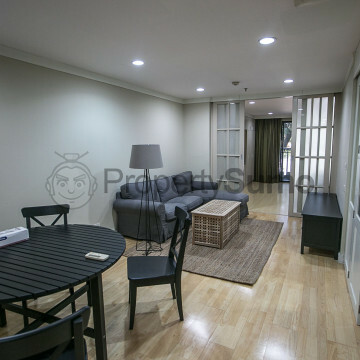 Situated on Soi Somkid in the Chit Lom district of Bangkok, this luxurious condominium building is a great place for discerning city dwellers to set up home. Residents are sure to be impressed by the large outdoor swimming pool, half of which is under cover to ensure that swimming can be enjoyed all year round. 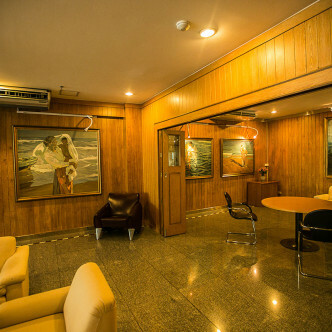 The pool is surrounded by stylish decking and sun loungers, while other onsite facilities include a large fitness centre, a comfortable and stylishly decorated conference centre and private parking spaces, while security is provided 24 hours a day. 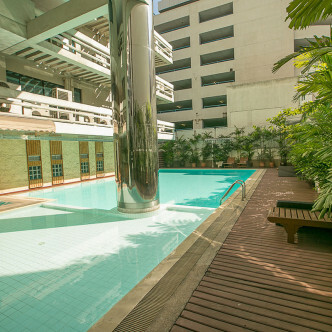 This prime location means that both the Ploenchit and Chit Lom BTS stations are situated within easy walking distance of Newhouse Condo. 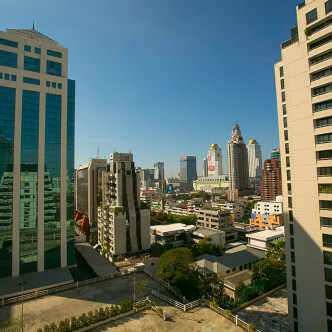 Exploring the city is very easy from here, while the local neighbourhood is home to the picturesque Lumpini Park and also features several large shopping centres as well as good bars and restaurants. Enjoy a refreshing new living experience at Newhouse Condo.